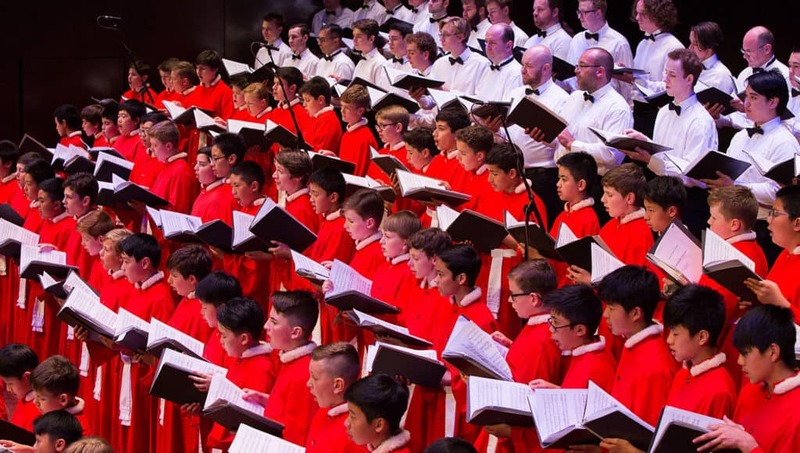 The National Boys Choir of Australia will be celebrating Christmas at Hamer Hall on Saturday, December 22 2018 with an illustrious programme featuring George Frideric Handel’s Eternal Source of Light Divine (Birthday Ode for Queen Anne 1713); the Choir’s major work this year. Melburnians will be familiar with this major work as the opening aria was performed at the recent wedding of the Duke and Duchess of Sussex, as the bride Meghan Markle walked down the aisle. The National Boys Choir of Australia will be welcoming to the stage its 180-voice Boys and Men’s Choir with orchestra plus four of Australia’s premier soloists for the major work: Jacqueline Porter (Soprano), Max Riebl (Countertenor), Austin Haynes (Countertenor) and Jeremy Kleeman (Bass-Baritone). Austin is one of the NBCA’s Old Boys, having sung and soloed with the Choir from 2008 to 2014. He was Co-captain in 2014. The second half of the program will include Christmas favourites such as Ding dong! Merrily on High, O Come All Ye Faithful, Good King Wenceslas and God Rest You Merry, Gentlemen. Mr Casey’s father, Mr Kevin Casey, founded the Choir in his Melbourne lounge-room in 1964. Since then, the National Boys Choir of Australia has become one of the oldest children’s choirs in the country and celebrated its 50th Anniversary in 2014. In its history, the Choir has performed at venues across Australia and abroad including the United Kingdom, France, Italy, Germany, Austria, Japan, New Zealand, the United States, Taiwan, the Philippines, Hong Kong and China. The National Boys Choir of Australia also featured in Australia’s most successful advertising campaign 20 years ago alongside the Australian Girls’ Choir, Qantas’ I Still Call Australia Home television advertisements. The National Boys Choir of Australia’s recent tour of Tasmania saw our Tour Choir perform for the Governor of Tasmania, Her Excellency Professor the Honourable Kate Warner AC, who said of the Ballroom recital performance: “Spine-tingling.” One of the selected choristers is the great, great grandson of Tasmania co- Governor Lieutenant Edward Lord, RM in 1810.